Robert J. Hoy Agency - Insurance Agency in Broadalbin, Saratoga Springs, & Northville, NY | Robert J. Hoy Agency, Inc. Looking to fine-tune your coverage? "Very happy with the service and staff. I was a 20 year customer with another agency, Robert J. Hoy Insurance was able to save me $60 a month with the same coverage. Always feel better dealing with a local company." "Always have great luck with Tim and his team at Robert J. Hoy Insurance. I have done business with them for over 25 years now. They give that personal touch with all their services." "Great customer service. Staff ALWAYS helpful." "Tim and his staff are always helpful to meet all of my family's insurance needs. They also care enough to shop for the most cost effective insurance options." "Customer Service is above great! Always there with ideas and very helpful. I highly recommend them." "Always receive personal attention and prompt service"
WHY CHOOSE ROBERT J. HOY AGENCY? With Robert J. Hoy, you are a person, not a policy! We have been providing insurance coverage to Fulton, Montgomery, Hamilton and Saratoga County for more than 50 years. One call to Robert J. Hoy Agency allows you to compare insurance rates from a number of leading insurance companies. We can save you time and money by shopping the market for you. Our staff of professional agents are ready to serve. Call us Today at 518-883-3421! Robert J. Hoy Agency has been providing insurance coverage to Fulton, Montgomery, Hamilton, and Saratoga County for more than 50 years. Whether insuring a brand new home, needing renters insurance, or car insurance, we can help! From recreational vehicles like RV's, Boats, and ATV's, we help protect all of your items large and small. We live and work here and are proud to be your local independent agent serving the Foothills of the Adirondacks and Sacandaga Lake Region; including Broadalbin, Mayfield, Northville, Edinburg, Saratoga, and beyond. To receive a free quote for auto, home, business, or life insurance, please call or visit us at any one of our three locations in Broadalbin, Northville, or Saratoga Springs! 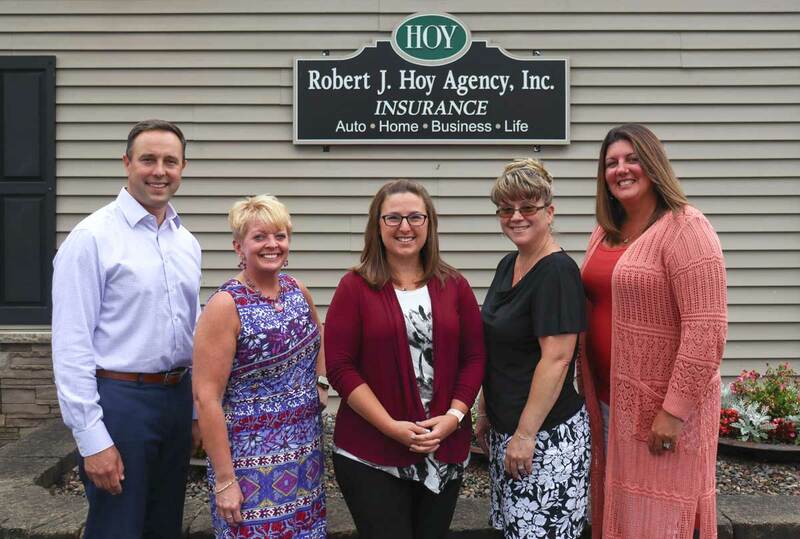 Robert J. Hoy Agency has been providing insurance coverage to Fulton, Montgomery, Hamilton, and Saratoga County since it was founded more than 50 years ago. We live and work here and are proud to be your local independent agent serving the Sacandaga Lake Region of Broadalbin, Mayfield, Northville, Edinburg, Gloversville, Johnstown, & Amsterdam. Our staff of professional agents are ready to serve your insurance needs anytime you call! Robert J. Hoy Agency Inc. Copyright © 2019 Robert J. Hoy Agency Inc.